Catholic News World : #ProLife Pop Singer Wows the Crowd on Stage while Pregnant on The Voice and Says Jesus was with Her too! 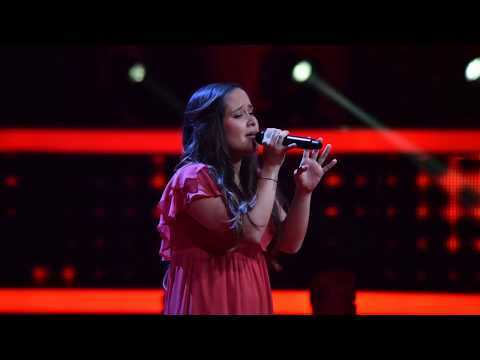 #ProLife Pop Singer Wows the Crowd on Stage while Pregnant on The Voice and Says Jesus was with Her too! Even more "Jesus" in "The Voice of Germany". Malin, studied pop singing and music education in Osnabrück and works there as a singing teacher. Malin is married and currently pregnant. "We also believe in Jesus, that's what's going to weld us together." Before her performance Malin and her husband were filmed praying. "Lord Jesus, thank you for today, thank you for this day." Malin said that she was sure that Jesus would be with her on stage as well. From 2012 to 2014 Malin attended a Christian music school in the USA. There she also worked on video productions and gave concerts. At the music school, she also met her husband Shawn, who emigrated with her to Germany. During her performance Malin sang the song "Remedy" by Adele. At the last second buzzed the team Fanta and the singer gave her soulful performance.